If so, you do not want to miss one of the biggest and highest paying bracket races of the year, the “Spring Fling Million”. 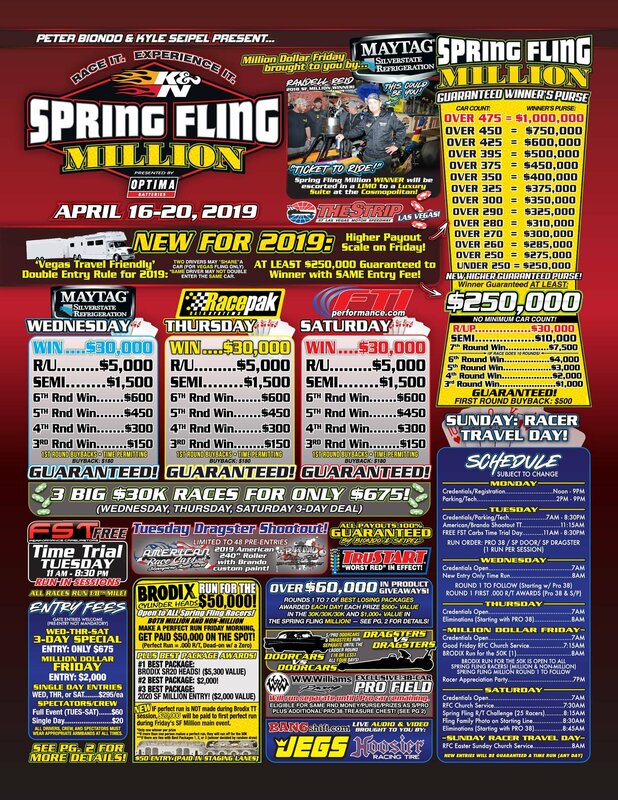 The Million will be taking place April 16-20 In Las Vegas, NV at Las Vegas Motor Speedway and Racepak will be there. So should you! What better place to cash in on a huge racing payday than Las Vegas? Racepak is excited to be the presenting sponsor for Thursdays activities, also known as “Racepak Thursday”. Racers will be vying for a chance to take home a piece of a $40,000 purse, and that’s just Thursday! 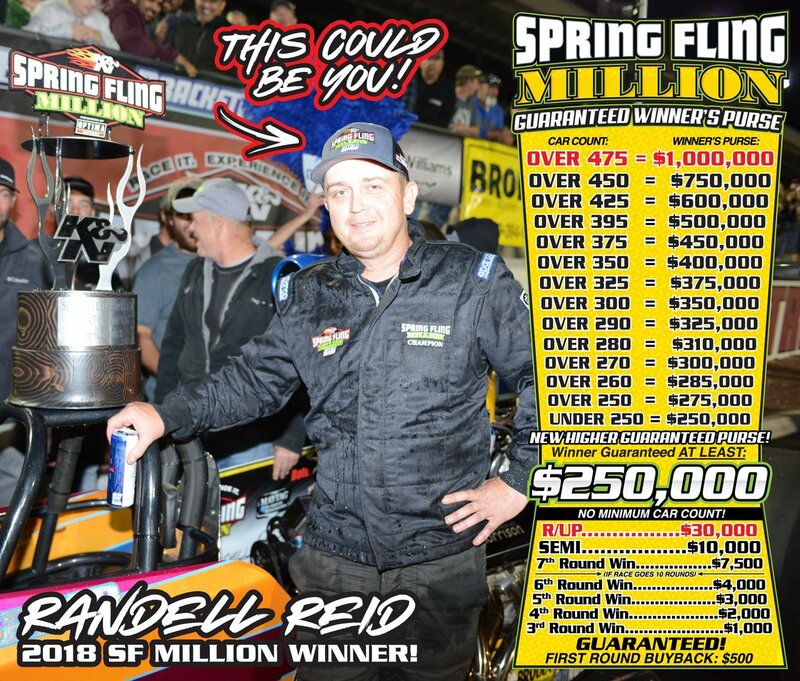 Aside from being the presenting sponsor for Thursday, Racepak will also have other opportunities to cash in on Racepak products throughout the weeks event. Finally, In addition to Racepak’s sponsorship involvement, Racepak staff will be on hand to help service Racepak customers at the event. Come try your luck, cash in BIG. We will see ya there! 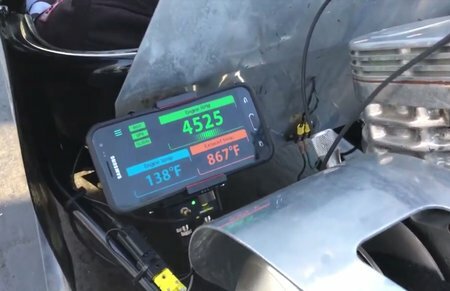 After much debate and negotiations, the new Racepak Vantage CL1 is now approved for use within all major sanctioning bodies, including the NHRA. 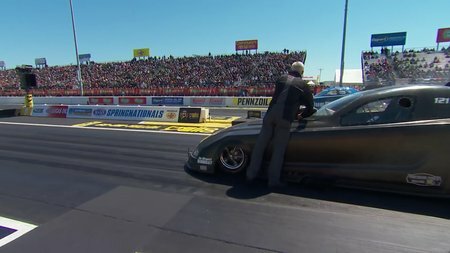 This past weekend Racepak techs were on hand at the ever-popular NHRA Mopar Express Lane Spring Nationals at Houston Raceway Park.